When Emma Gladstone took the reins of the Dance Umbrella festival in 2013, the event was in need of a makeover. Gladstone, an experienced dance programmer and producer, obliged, with experimental ice dancing, radical flamenco, hip-hop dance on a grand narrative scale and a focus on work to appeal to children – all in just her first year in charge. Gladstone’s fourth Dance Umbrella feels just as exciting, and the capital seems to be embracing this international contemporary dance celebration as its reputation swells once again. Part of the appeal may well be how Dance Umbrella, precisely because it’s unfettered by having its own venue, can take dance across London and into unconventional spaces. 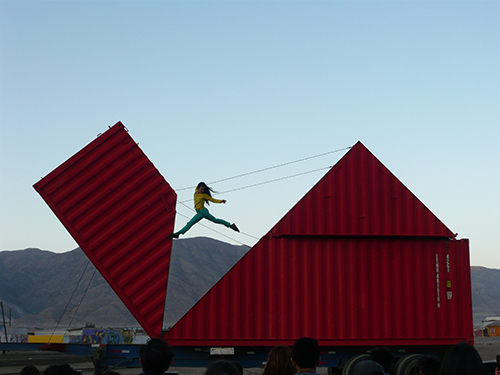 This year the festival opens with the Paris Opera Ballet-trained dancer and aerial circus artist Satchie Noro performing Origami, a dramatic “duet” with a slowly unfurling 40ft shipping container, which is being staged at five venues, along the Thames and in Croydon (Gladstone’s first venture in Zone 5). 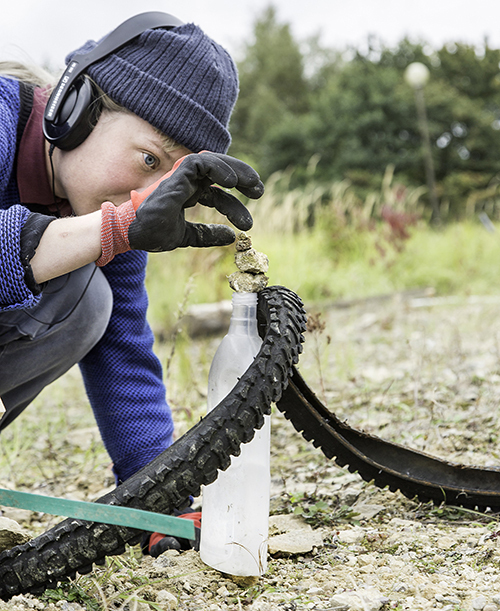 Charlotte Spencer Projects, meanwhile, will present Is this a Waste Land?, a large-scale immersive work on disused land in Silvertown Quays, east London. Gladstone has made the choice to go for “depth and quality rather than range” when it comes to programming, she explains – this year the festival comprises nine shows, as well as a wealth of peripheral activities. “In a funny way that constraint helps me know what the edges are,” she says. It’s striking how many female dance-makers are on the bill – from the trio of ground-breaking choreographers working with Lyon Opera Ballet, to the Korean psychedelia of Eun-Me Ahn, to the return of the avant-garde flamenco talent Rocio Molina (who was nominated for an Olivier award for her previous Dance Umbrella show). At a time when some of dance’s more august institutions are being scrutinised for the lack of opportunities offered to women choreographers, Dance Umbrella is brimming with female talent – and deliberately so. This year, a new lecture strand starts – Liz Lerman will explore the topic of how we watch theatre and dance differently, at the Cottesloe Room at the National Theatre. And, as the creator of Sadler’s Wells’ Wild Card programme, Gladstone is also keen to encourage different artistic visions within her own festival. Hence this year’s takeover of the Bethnal Green venue Rich Mix: Out of the System has been created by Freddie Opoku-Addaie, who will collaborate with Dance Umbrella for three festivals. “It’s basically like a night out; you walk about into different spaces and see different shows and you can have a drink,” says Gladstone. “He’s bringing in some artists I’ve never heard of; he’s got bands – it’s not what I would have done, and that’s very enjoyable. “There’s a pleasure in inviting someone else’s vision into the mix. And it’s really good for artists to be on the other side and take control. I think people often give us [programmers] a lot of power and I always feel like it’s good to share it. Dance Umbrella 2017 runs 11 – 28 October 2017, discover the full programme here.